WE'LL SEE YOU NEXT YEAR AT THE 2019 CANADA CONGRESS! 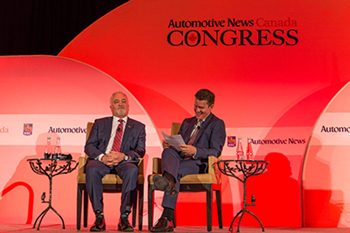 The 2nd annual Automotive News Canada Congress was a great success, bringing together nearly 300 dealers, suppliers, manufacturers and others allied with the industry for a content-packed day to discuss the challenges and opportunities facing the Canadian auto industry. 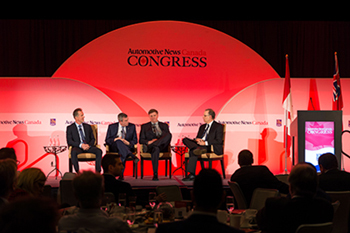 Explore this website to learn more about the discussions at this year's Canada Congress, and to view available presentations.